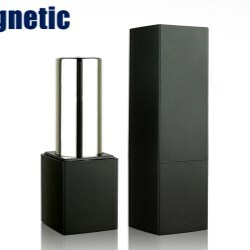 Lipstick packaging featurs magnetic closure. 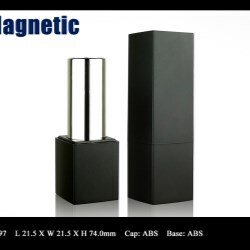 With ABS cap and base, the components can be decorated with gradation, metalization, over sprayer, as well as many exquisite decorations. 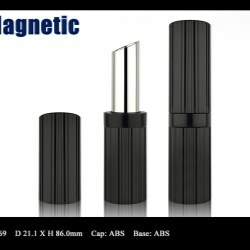 For companies who are looking for premium branding solution, Fancy and Trend provides customized tooling to add a brand name with plastic molding directly on the handlebar of a lipstick packaging. 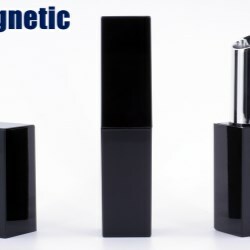 The lipstick is composed of crystal clear components that are made of SAN, a plastic material that has transparent quality and highly compatible with chemicals. Fancy & Trend adds special cutting feature in the cap to enhance the reflectivity of the packaging design. Fancy & Trend introduces two new double-ended lipstick packaging. On either end, there's a elegant curvy segment for user to pull out the lipstick with ease. With its advanced and exquisite moulding technique, Fancy & Trend's design team created two new plastic lipstick packaging that has sophisticated surface decoration. Made entirely in ABS, the lipstick components can be decorated in gold metalization. Fancy and Trend adds a kitten smiley face in its Jumbo Crystal Lipstick. Made entirely with SAN plastic, the transparent quality adds crystal sheer visual effect to the packaging. Fancy & Trend introduces two new lipstick packaging of sizes that are relatively bigger than average, one in square, and one in circular shape. 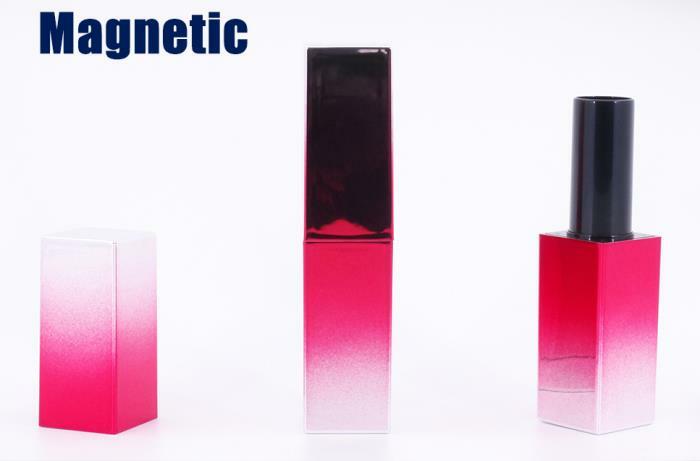 Lipstick packaging features a clear window on the top of closure for consumers to have a quick glance of the actual product color. Fancy & Trend has a huge collection of lipstick packaging in different styles. One in particular, among the various popular designs, has a steady base and a long top-down clear cap as the main decorative part of the entire style. 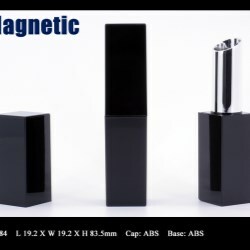 The new lipstick packaging has rippled surface decoration on the bottom of the base, the over cap can be either in solid plastic color or transparent clear. 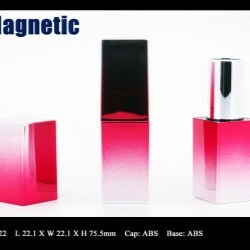 The lipstick packaging has a base compartment that is made with transparent SAN. 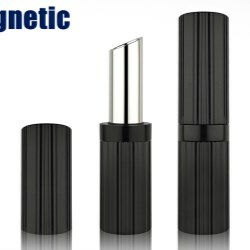 Lipstick with mirror attached is convinient for consumers to use and carry around. 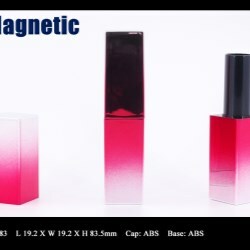 The lipstick packaging have ABS components for both cap & closure that can be decorated with metalization, spray coating, and many advanced packaging decorations. The lipsticks reveal product color via clear SAN cap. 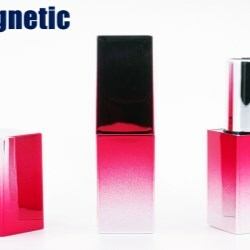 With highly precise tooling and engineering, the packaging components provided by Fancy & Trend doesn’t need much decoration treatment to impress consumers, the petal-pink colored components can be either lipstick or lip balm products. The triagular shaped lipstick has a special gold spray decoration.